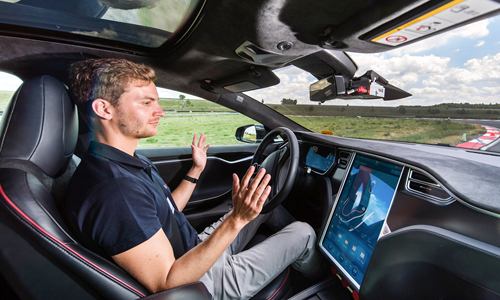 LAS VEGAS–Fifty percent of U.S. motorists believe that autonomous vehicles will not be safe, according to the 2019 Global Automotive Consumer Study issued by auditing and consulting services firm Deloitte L.L.P. This figure is up slightly from DLeloitte’s 2018 study, in which 47 percent of U.S. motorists said they thought AVs would be unsafe, according to a Deloitte press release dated Jan. 7. But it was still considerably lower than in 2017, when 74 percent said they didn’t trust AVs. The study was based on responses from more than 25,000 motorists in 20 countries, the press release said. Among countries other than the U.S., respondents in China, Japan and South Korea showed slightly more trust toward AVs in 2019 than in previous years, while respondents in India and Germany expressed slightly less, according to Deloitte. “Autonomous vehicles have begun to enter the real world in pilot testing and having consequently encountered real-world challenges,” said Craig Giffi, Deloitte vice chairman and U.S. automotive sector leader. Only 12 percent of respondents reported using ride-hailing services at least once a week in 2019, as compared with 23 percent in 2017. On the other hand, the percentage of respondents who used ride-sharing services occasionally more than doubled, from 22 percent in 2017 to 46 percent in 2019. Younger consumers questioned the necessity of owning a car. Sixty percent of Generation X/Y respondents in Japan said they believed ride-hailing services made vehicle ownership unnecessary, compared with 53 percent of Generation Xers and 45 percent of Baby Boomers. In the U.S., 46 percent of Generation X/Y respondents questioned the need for car ownership in 2019, but this was considerably less than the 64 percent recorded in 2017. Fifty-six percent of Americans and 47 percent of Germans said they preferred to use their own vehicles daily, as opposed to ride-sharing services such as professional microbus services and similar multi-rider options. More than seven in 10 U.S. motorists said they regarded connected services such as traffic congestion tracking and road safety alerts as a top priority. Nearly two-thirds (63 percent) of U.S. respondents said they had concerns about biometric data–such as powertrain performance, operational statistics, geolocation information and occupant wellness–being captured in a connected vehicle and shared with external parties. Only 40 percent of motorists in China and Japan expressed the same concerns. Seventy-nine percent of consumers in China and 76 percent in India said they believed vehicle connectivity would yield substantial benefits, compared with 47 percent in the U.S., 36 percent in Japan and 35 percent in Germany.